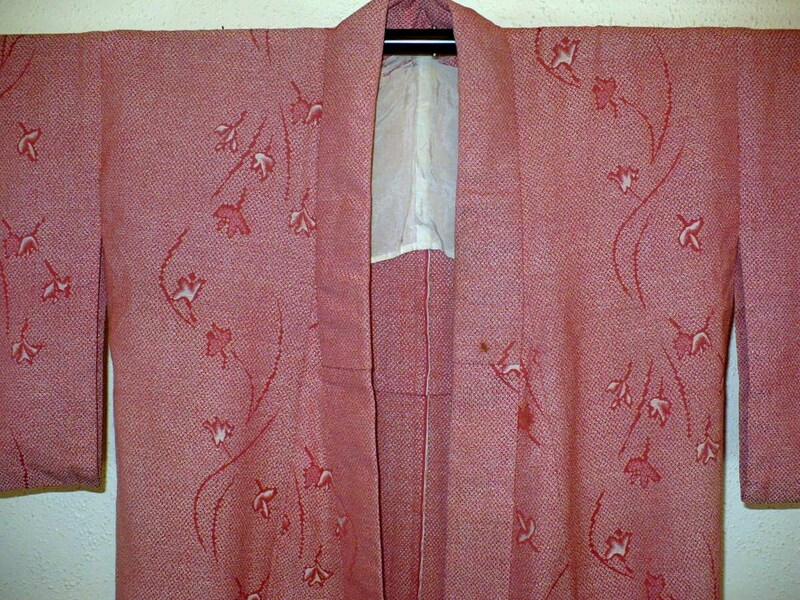 Vintage 1950's kimono. 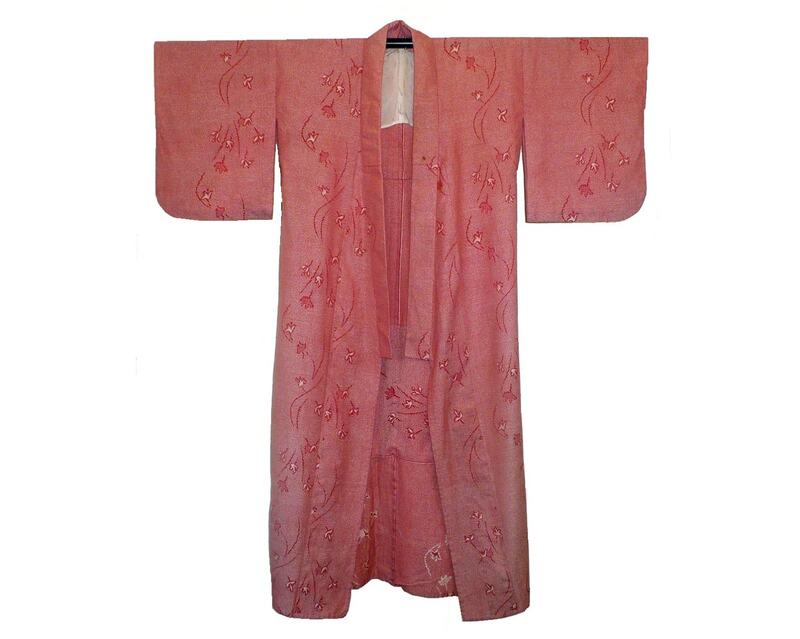 Gorgeous wool kimono features the popular autumnal motif of the Japanese Maple Leaf. Please see images for approximate measurements. 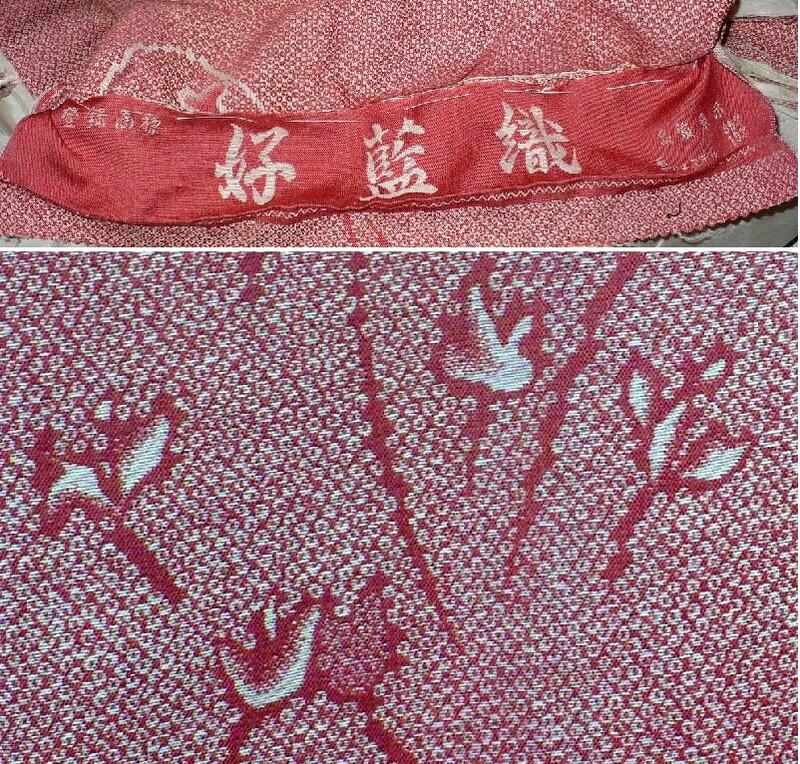 While closing an open seam at the collar, we discovered an inner panel with Chinese characters. 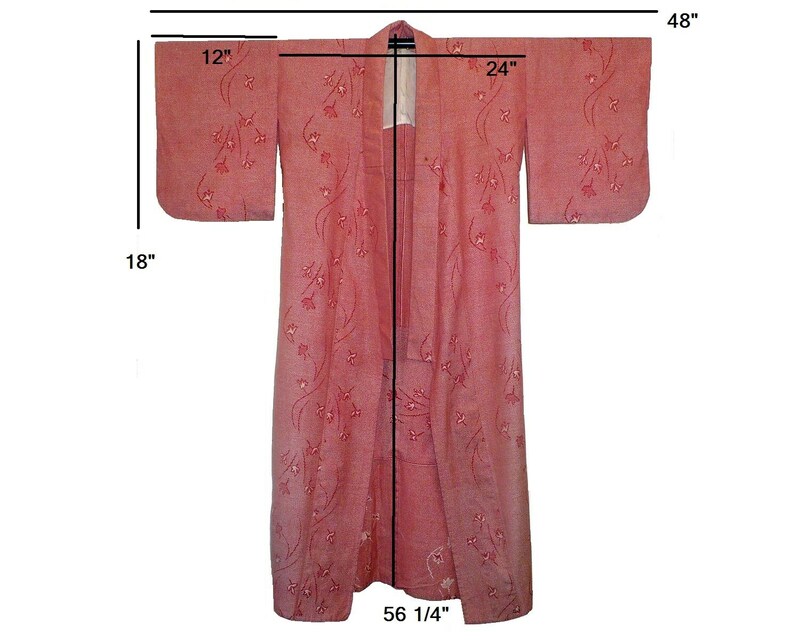 We believe this is the fabric manufacturer's information salvaged from the original kimono bolt. On left top corner it says "a registered trademark" and we believe the three Chinese characters are a name of trademark or manufacturer. First letter means "good or nice" and the last means "fabric" or "weave". We do not know the meaning of the middle one. The far right translates to: wool 85% polyester 15%. 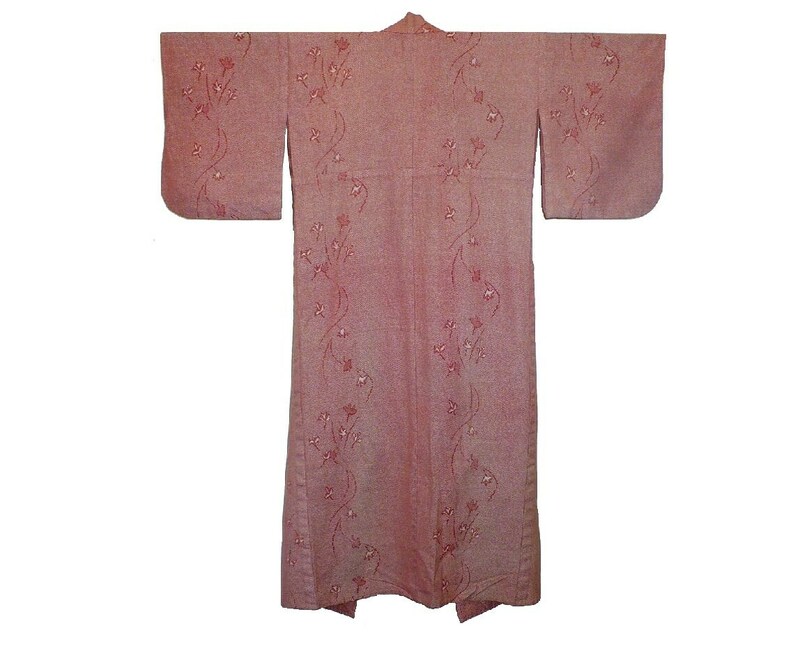 Condition: Fabric is sturdy with no holes or worn areas. Shattered inner lining at shoulders on inside. Needs dry cleaning. Priced accordingly.